John Hammond Learn To Play Blues Guitar & Harmonica. 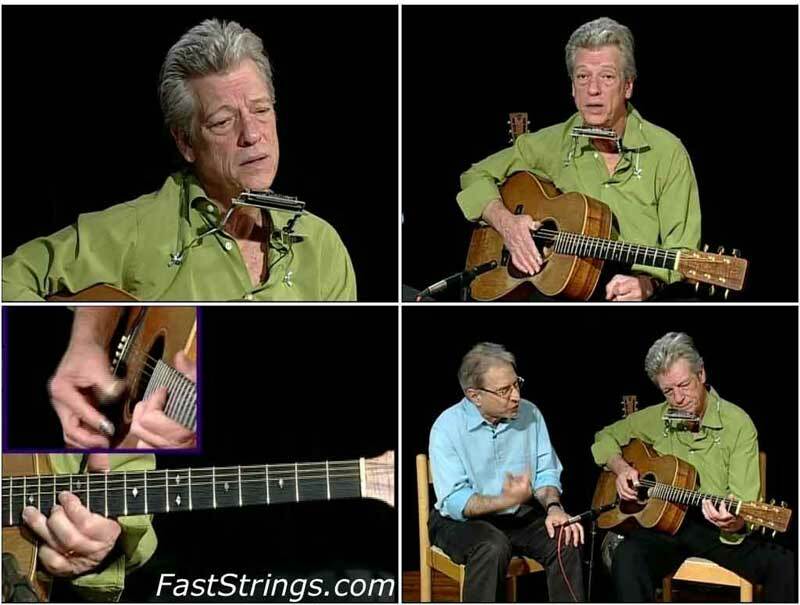 Legendary blues musician John Hammond distills forty years of experience in this remarkable exploration of his guitar, harmonica and vocal techniques. He sings, plays and breaks down a variety of songs and instrumentals, sharing his blues wisdom with aspiring players and enthusiasts. Includes music and tab. Hammond’s passion and commitment to his music have inspired blues lovers throughout the world for more than forty years. Now guitarists (and harmonica players) can learn, up close, how John plays the songs, licks, grooves and soulful solos that make up his dynamic blues style. You’ll learn innumerable ways to improve your own blues playing, including the use of the slide and how to integrate the harp into your songs. You guys are the next best thing to the Internet itself! !Awesome job, Admin.Fantastic download!!! !